Ah the lack of updates. Recently I've been plague by sleepness nights (which resulted in great dreams). My mind and body doesn't seem to wanna work together. In the day when my body's revving to go, the mind gets pulled down with headaches, and at night when I'm about to sleep, my minds racing with ideas and stories, right when my body's too lazy to move. I have to find a way to solve this problem. Speaking of dreams, I love having them. Without them, I'd probably never go to sleep to begin with. Just last week I had a couple of real interesting ones, interesting enough to pen them down. 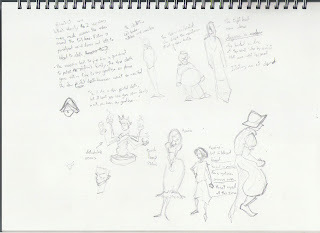 I won't bore you with details, but my subconcious really gave me a couple of solid characters to work with, as well as a possible story.Yea I really needed it, was actually in a slump days before this dream. 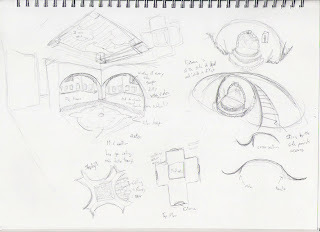 The first 2 sketches are what I could remeber vividly. 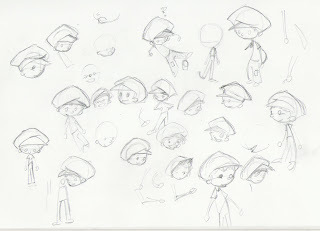 Also, did abit more doodles for character design. Meh I dun really like it, reminds too much of Calvin (& Hobbs). Didn't intend it to though.